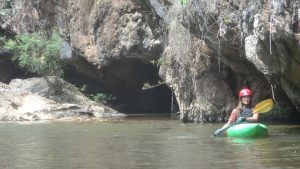 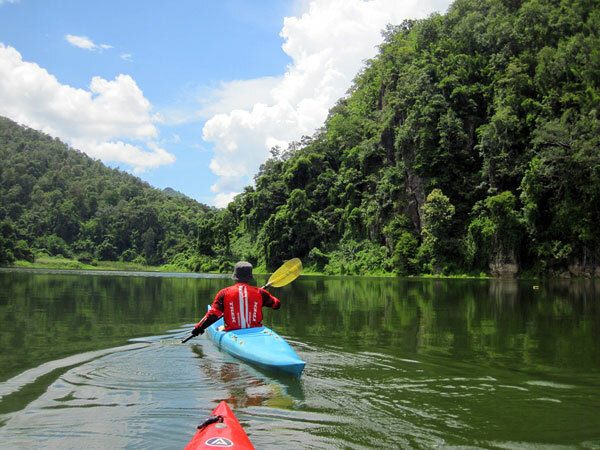 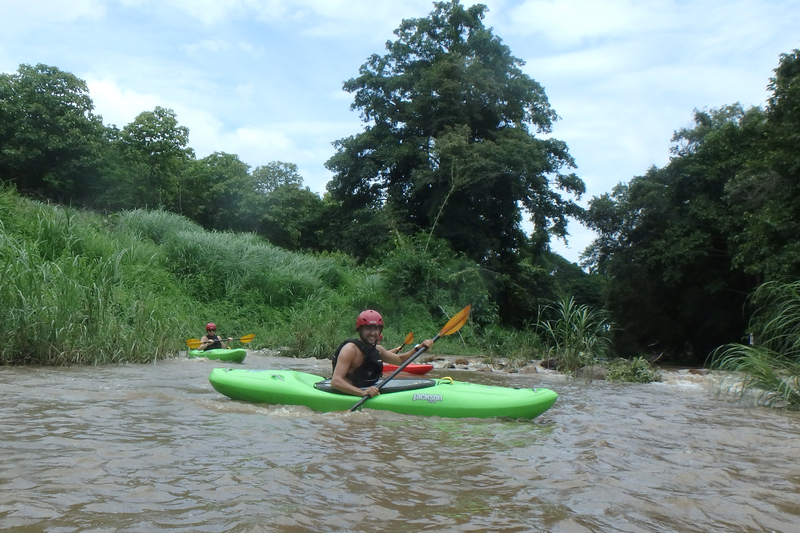 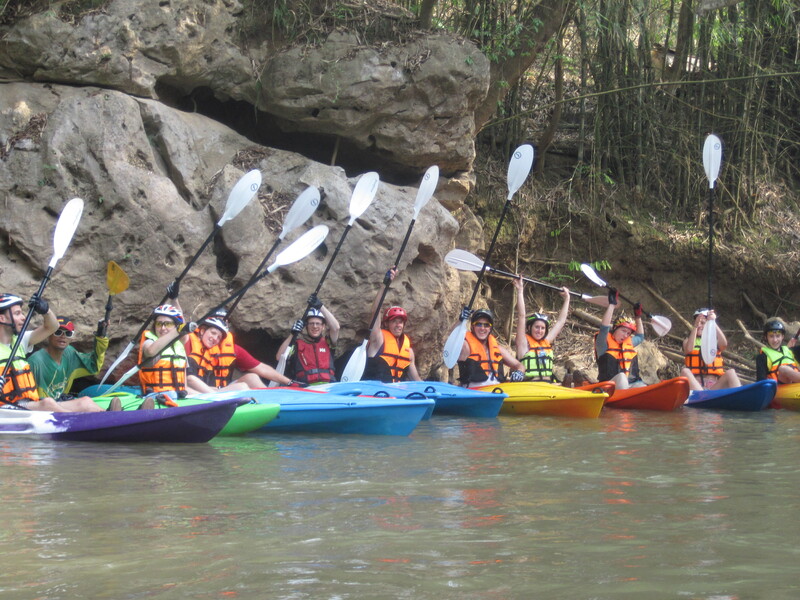 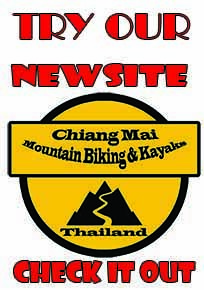 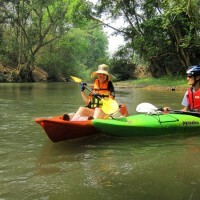 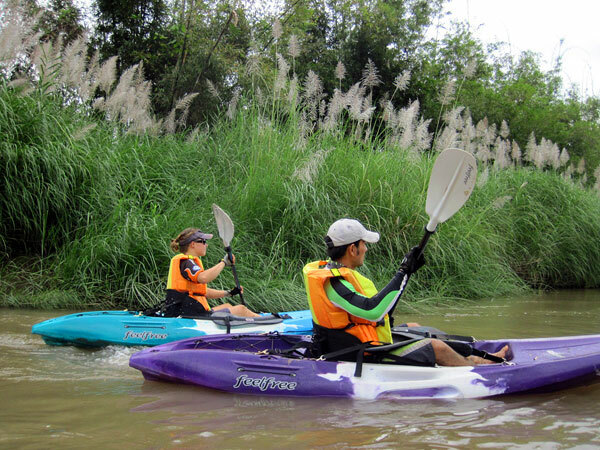 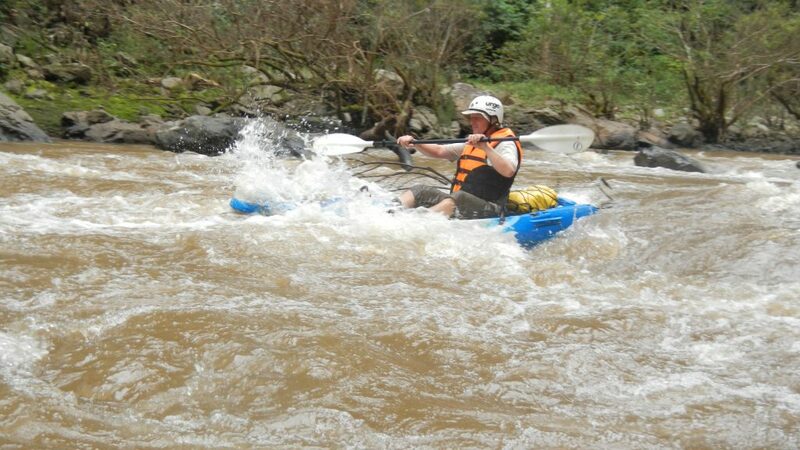 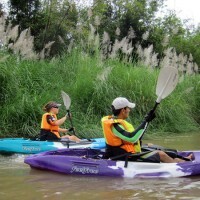 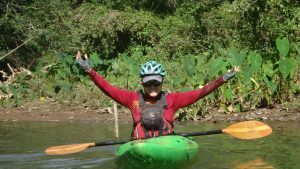 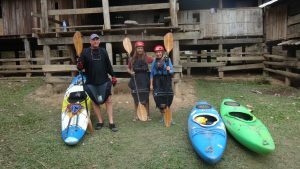 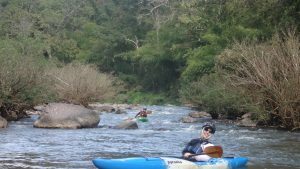 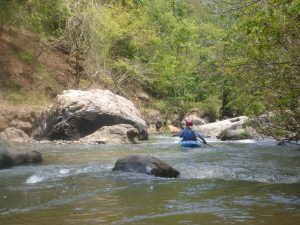 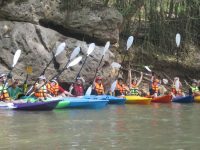 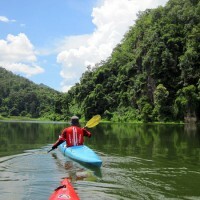 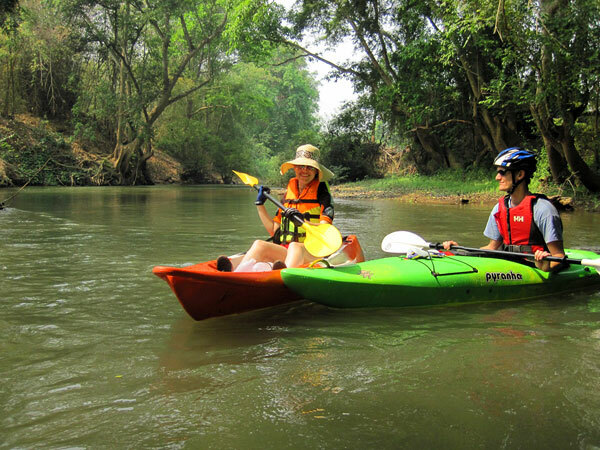 This exclusive 2 day Kayak excursion starts in the shadow of the mighty Chiang Dao Mountain, in the farming village Mhongkong , 100km north of Chiang Mai. 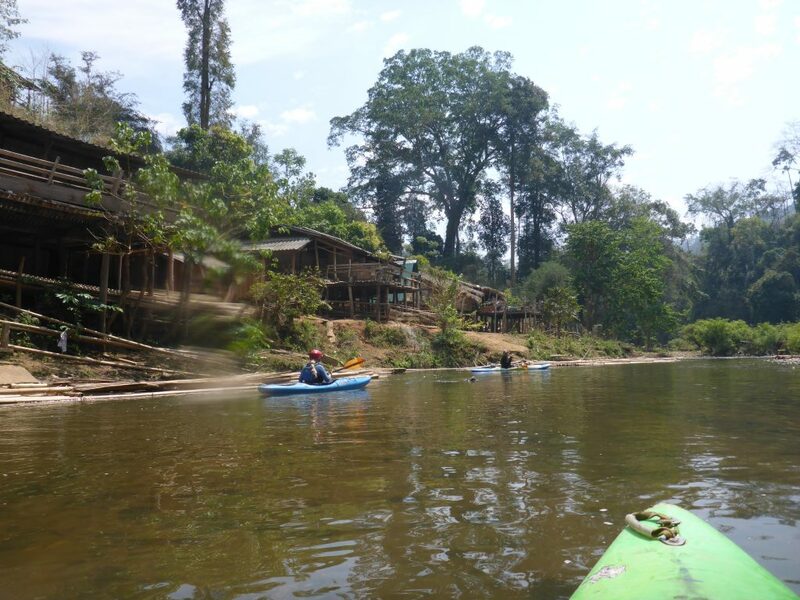 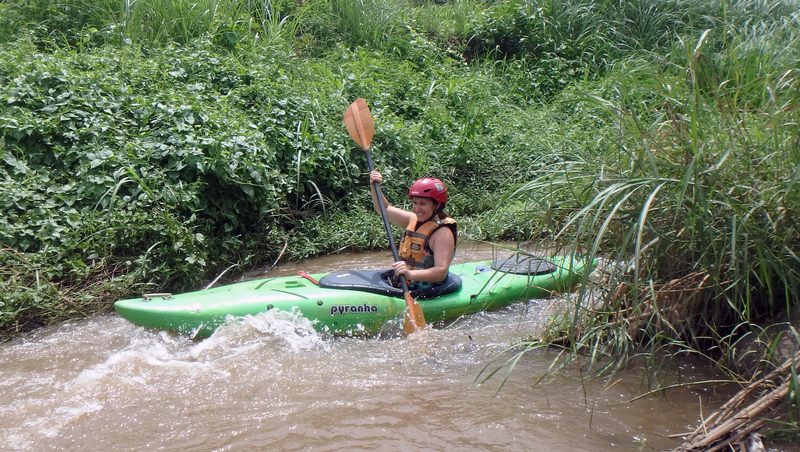 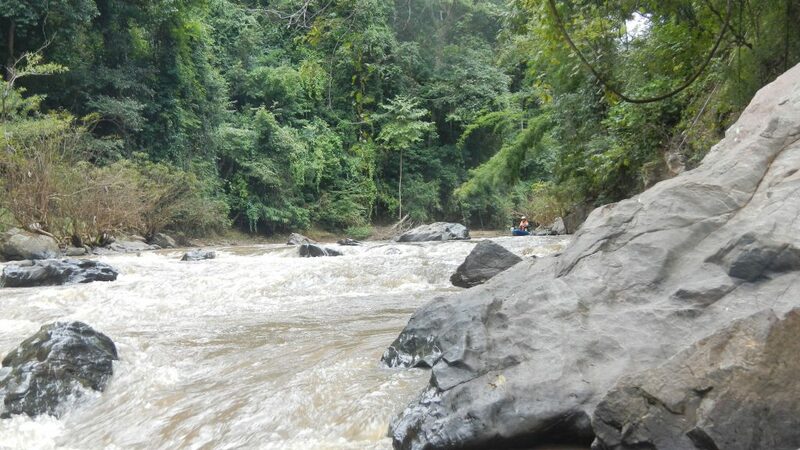 Here we board our kayaks and head south deep into the Northern Thai Jungle . 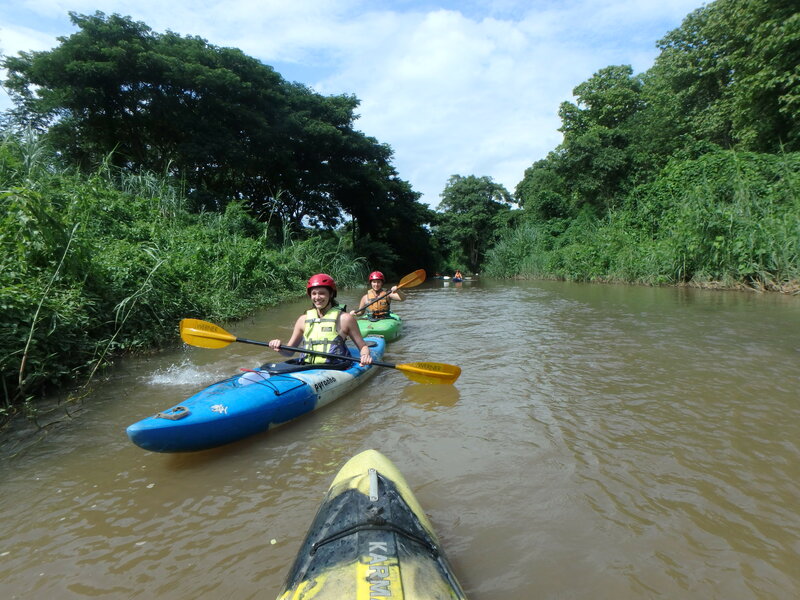 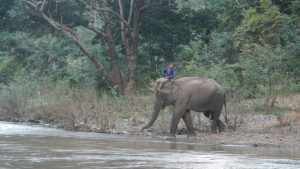 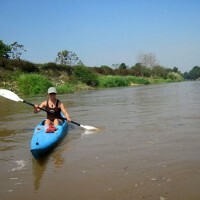 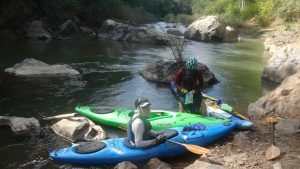 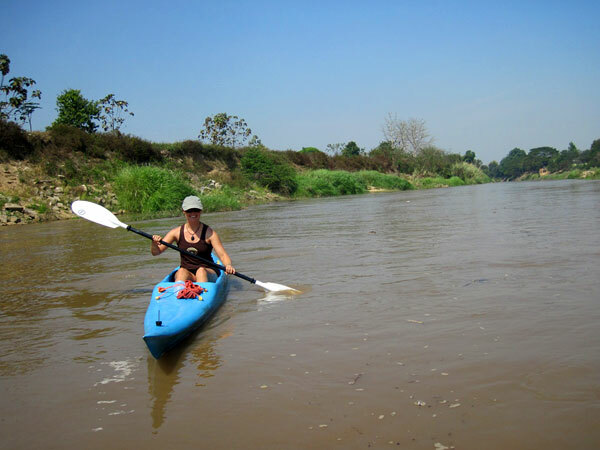 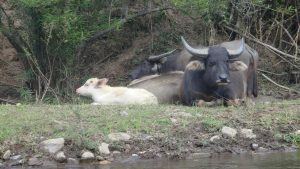 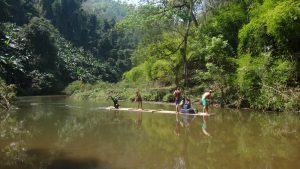 Day 1 4 – 5 hr paddle takes us through the forest, past water buffaloes, elephants, hunters and gatherers. 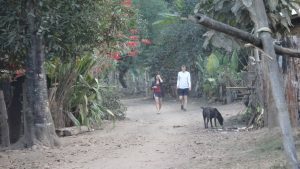 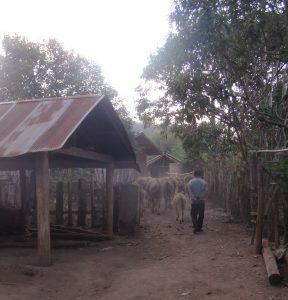 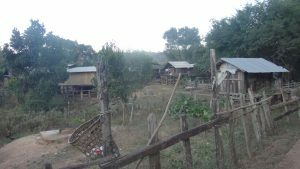 In the late afternoon we arrive at Pakola the Karen Hill Tribe Village. 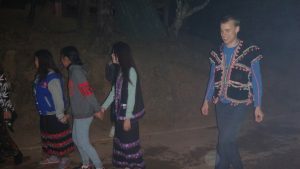 We are welcomed in a traditional long house along side the river for the night. 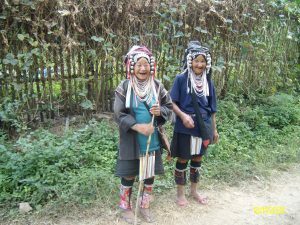 We enjoy the local cousin and the charm of the locals. 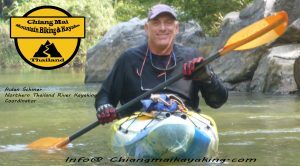 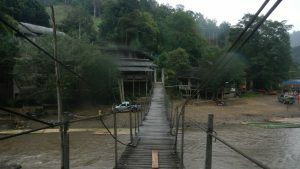 Day 2 18 km to Sopkai Village, 4 hrs of kayaking through pristine jungle . 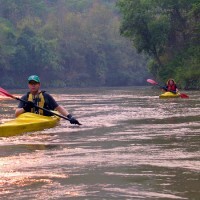 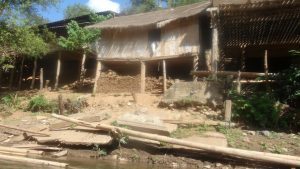 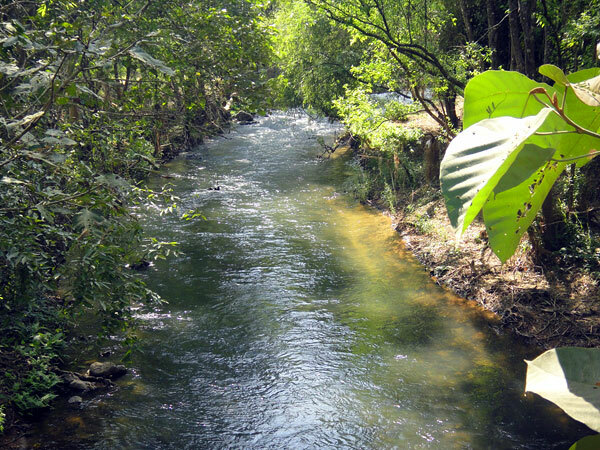 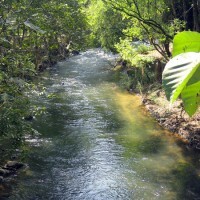 As all rivers in Thailand , water levels swell up and drop significantly depending on rain fall. 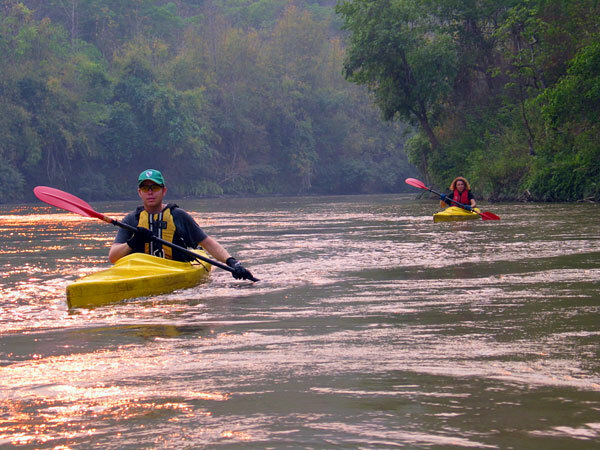 This river stretch provides us with swift currents, fun rapids and the occasional float.